Dr. Tadevos Hovhannisyan is a talented vitreo-retinal surgeon who has been working with the Armenian EyeCare Project since 2003. For the past several years, he has been training with the Project’s Retinopathy of Prematurity (ROP) program and performing complicated retinal surgeries on premature infants. We are happy to share that, after training for several years, Dr. Hovhannisyan performed his first vitreo-retinal surgery in Armenia without any on-site assistance in the summer of 2015. The complicated surgery — performed on an eight-week-old infant — took place at the Project’s Center of Excellence for the Prevention of Childhood Blindness in Yerevan and was monitored remotely. Using cutting-edge telesurgery technology, Dr. Hovhannisyan connected with Dr. Chien Wong — 3,000 miles away in London — who observed the surgery in real-time and provided guidance during the procedure. 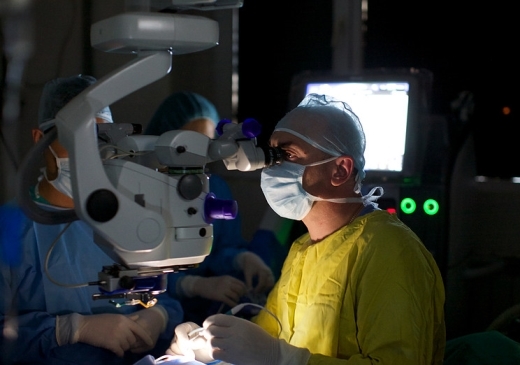 Since the Project’s ROP program was established in 2010, the AECP surgical team in Armenia, and specifically Dr. Hovhannisyan, have received intensive training from two of the most skilled retina surgeons in the world, Dr. Wong, of Moorfields Eye Hospital in London, and Dr. Thomas Lee, of Children’s Hospital Los Angeles. Discussing the ROP program, Dr. Hovhannisyan says it is the rigorous training from our AECP ophthalmologists that is the difference between a hopeless diagnosis and a successful outcome for hundreds of families in Armenia. Following several successful surgeries, Dr. Hovhannisyan has demonstrated that he has the skills necessary to perform complex ROP surgeries independently. 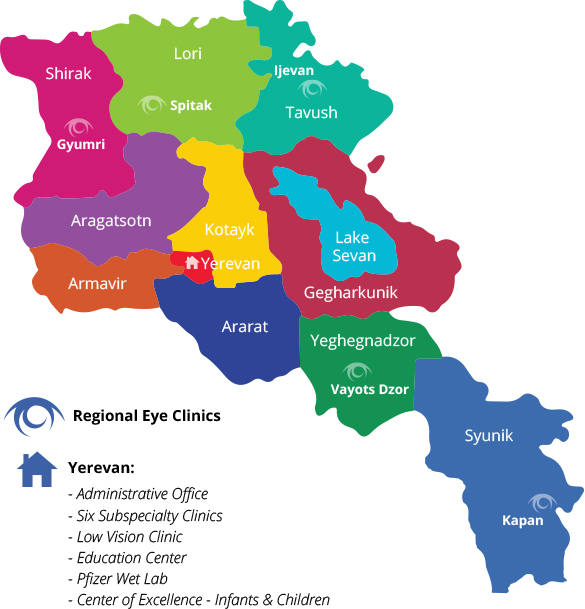 Because of him and other Armenian physicians, the Center of Excellence has developed an excellent reputation and is becoming a place where patients from surrounding countries visit for quality eye care in the region.